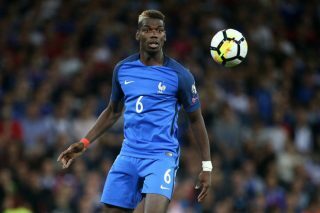 March internationals: When are Manchester United players playing? Several Manchester United players have departed for the March international break, though a number have withdrawn from their national squads with injury. Many will say the international break came at a perfect time for Ole Gunnar Solskjaer after United suffered back-to-back defeats against Arsenal and Wolves. The latter saw the Reds knocked out of the FA Cup, the only realistic hope for a trophy this season. Solskjaer will hope his key players come back after the international injury free, however, the likes of Romelu Lukaku, Luke Shaw and Nemanja Matic have all pulled out the squads with knocks they picked up prior to meeting up with their international teammates. For instance, Lukaku missed United’s 2-1 defeat against Wolves with a foot injury. He had an MRI scan on Monday and it was announced on Tuesday morning that he wouldn’t take part in the two upcoming Belgium fixtures. Below you will find a schedule involving United fans on international duty. We’ll be providing updates on each player throughout the break.